Unbreakable Kimmy Schmidt Review - TV Netflix - Are You Screening? 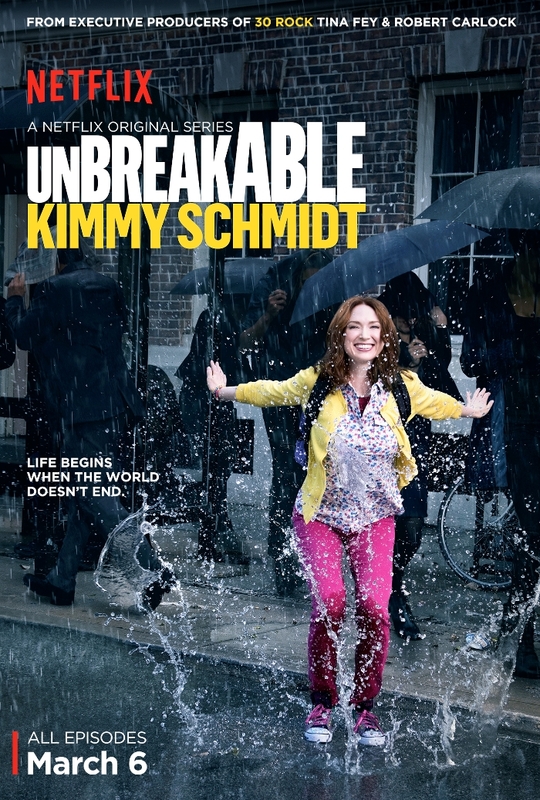 New network saves of canceled shows, that manage to still perform well, are making the world of television interesting of late, but Unbreakable Kimmy Schmidt enters a new realm as an online streaming service gives it a new life before it has a chance to get canceled. “Un-ordered” by NBC, Netflix picked up the show by Tina Fey, and the events had people scratching their heads. The details of the decision are likely rather complex, but the move seems decidedly strange if there is any chance that you have the next 30 Rock on your hands. Now that the show has been released, you have to hope that someone has some explaining to do, because it’s easily one of the best shows in a decade. Easily. 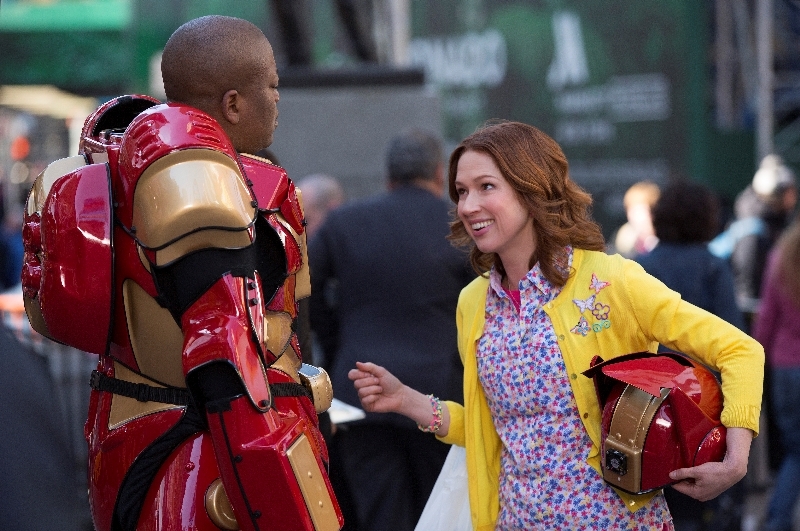 The Office‘s Ellie Kemper stars in a role that could only be managed by her “rainbows and unicorns” appearance, and the stable of delightedly naive, and confused expressions she perfected during her stint as Erin. 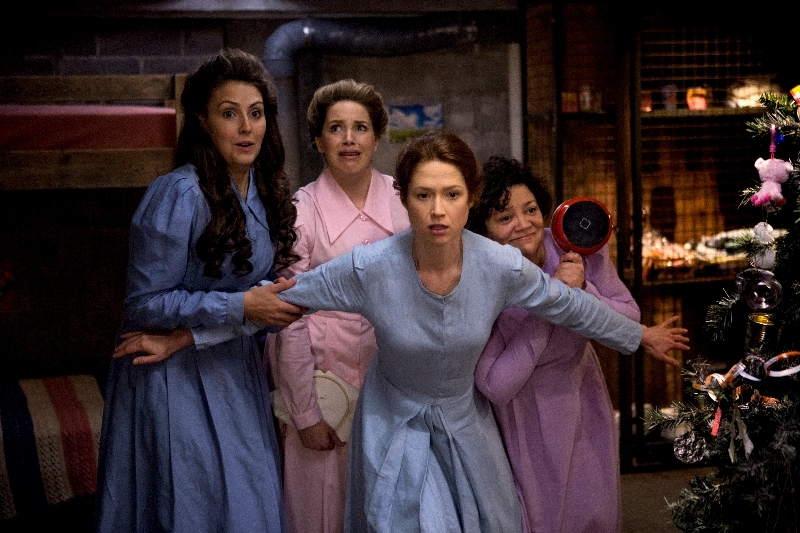 Kimmy Schmidt (Kemper), along with three other women, were kept in a buried shelter for 15 years, having been told that the world had ended, and everything outside was destroyed. The show begins with their rescue, and when the “Mole Women” are in New York for an appearance on Today, Kimmy suddenly decides that she isn’t going back to Indiana, where she’ll just be a Mole Woman for the rest of her life. She’s been a captive since she was 15, and she doesn’t want to jump from one kind of captivity to another. In New York she can disappear into a new life. She stumbles about and lands in something that resembles a new life. She accidentally gets a job as nanny/maid/assistant for Jacqueline Voorhees (Jane Krakowski), a stereotypical uber-rich New Yorker who has, more or less, left all of her status as human being behind. She also finds a place to live by responding to an ad for an apartment that she is too naive to know better than to take. 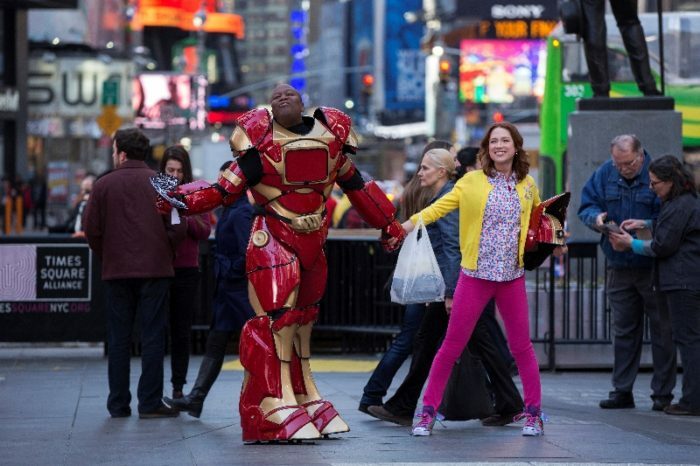 This leads to her roommate, Titus Andromedan (Tituss Burgess), an aspiring actor who works outside an arcade in an “Iron Man” costume passing out flyers, and her landlord, Lillian (Carol Kane), who is lost to a different age of hippy confusion and New York street smarts. Armed as she is with said building blocks of life, Kimmy is ready to take on the world, get a GED, and show New York who’s boss. There’s a definite 30 Rock vibe to the comedy at work here, but it takes certain facets of the “mockumentary social commentary” effort and cranks them up to another level. That makes the overall balancing act even more difficult (and if you hate 30 Rock, you probably want to pass), because when there is even more hyperbole taking over the plot arc, it’s a delicate craft to weave in the rapid-fire dialog that sells the characters. Making that balance work at all is practically impossible (making hyperbole work at all is practically impossible), but shore things up with a Fawlty Towers-esque meticulous attention to timing, and “no word wasted,” comedy sensibility, and you find out why someone takes that risk. Good as it is, the show does reveal the difficulty inherent in that effort at times. Krakowski’s lovable, yet “Nanny Diaries,” Mrs Voorhees occasionally moves just past the line of watchability, but when a show’s plan is to dance on the knife edge, you don’t end up caring about the odd misstep. 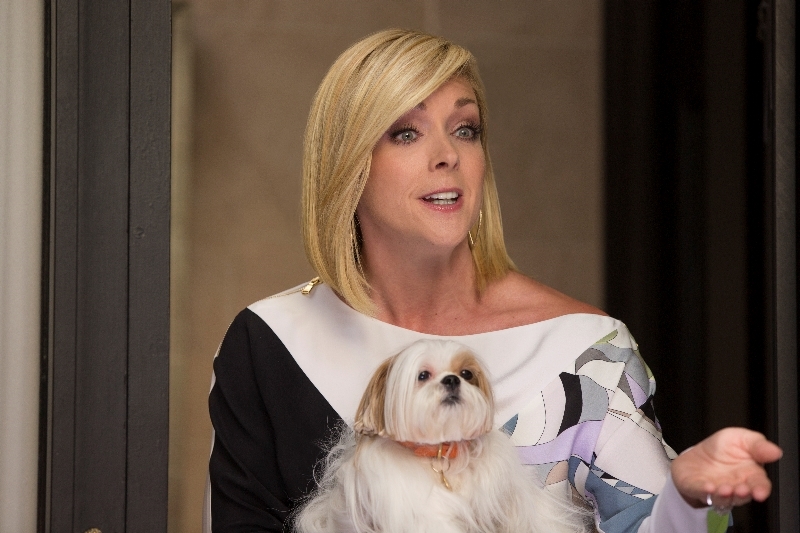 Krakowski still nails the role, upping the game on her already great turn in 30 Rock. 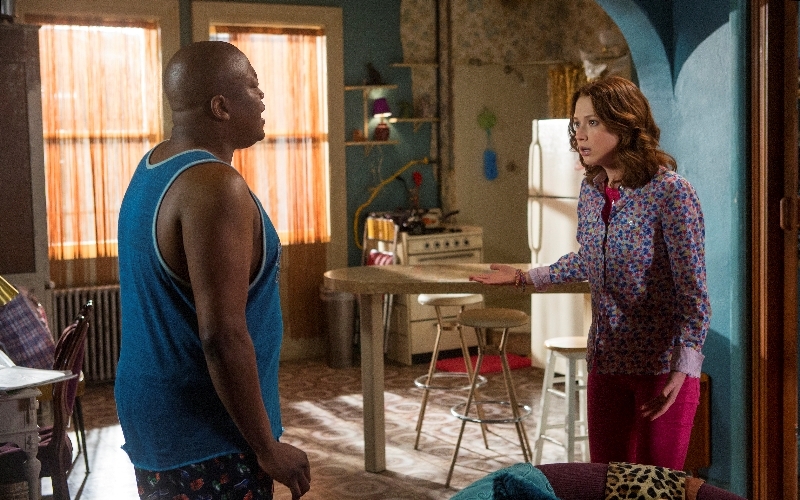 As the show progresses, Kimmy spends a good deal of time with her new roommate, and Tituss Burgess is probably the most surprising star of the show. His flamboyantly gay character steals just about every scene he’s in, and Burgess’ ability to play along with Kemper’s genius is impressive. We eventually get to brilliant, recurring guest spots by Jon Hamm and Tim Blake Nelson, which push things to an even higher level, and considering the level we were already at, that’s just plain hard to believe. Of course, it comes down to Kemper, and too much cannot be said about the infectious charm she is able to deliver to any scene. A kind of modernized Lucille Ball, who spins naivete into the new order’s jaded update of the idea, Kemper seems like the result of a surrealist artist trying to cross sunshine itself with The Little Engine that Could, and accidentally making a person. She manages to take that magic and build a role that is not only hilarious, but has a certain statement to make about all the women you’ve seen in sit-coms before, and what they should have been doing. The only real downside of the show is that you will yell at your TV when you get done binge-watching it. In this new world, with so many cable networks, DVRs, and now streaming services offering original programming, the idea of ratings is being adjusted in mad dash to figure out how to tell what’s working. We now pay attention to things like +3 and +7 ratings, instead of just who watched a show the moment it aired. We listen to social media, to see if that gives a clue. We try to sell advertisers of the importance of such things. It’s a juggling act that no one has quite nailed down yet. 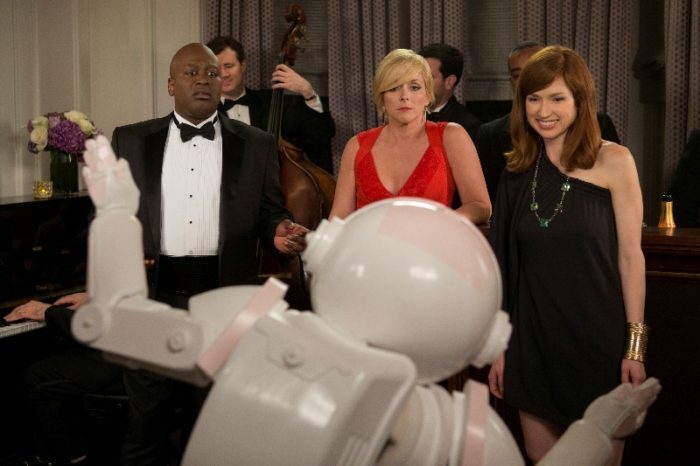 Unbreakable Kimmy Schmidt has me interested in a new statistic, which Netflix is in a unique position to potentially offer data, and that’s how many people, within X time-frame, watch it again. I bet it would prove to be the best show of at least the last five years if we had any way to compare.